Welcome to Writing A Life! I invite you to join me on a journey of creativity and discovery. Together we can create the lives we were born to live. If you were to ask people what they most want out of life, the majority of them would probably say “to be happy.” but what exactly does a happy life look like? 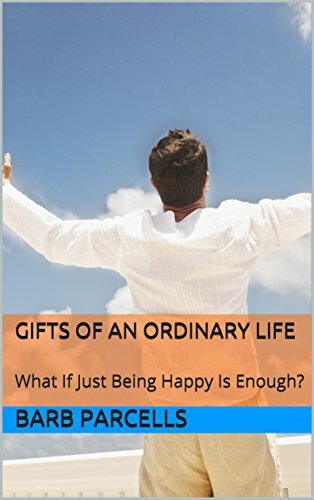 In this, the third and final book in the Third Age Trilogy, the author sets out to discover what living a happy life really entails. Launching her very own Happiness Project for “Third-Agers,” she gives herself three months to build a life that is not only happy and fulfilled, but that will stand the test of time going forward. With wit and honesty, she shares her triumphs as well as challenges and, along the way, finds out that happiness is, indeed, an inside job. Note: All three books in my “Third Age Trilogy” can be read as stand-alone books. Taken together, they provide three different perspectives on life after 50, and the amazing lives we can create! Happy reading! Every week I’ll post a writing assignment that is in tune with the subject of the blog post. There is no right or wrong way to do them, and no one is going to see them except you. The idea is to get used to using writing as a tool to open up your heart and mind to the changes you can make in your life just by seeing them come alive on paper. Have fun with them. Don’t treat them as “life-or-death, must-get-it-right” assignments. Treat them as you would any other tool in your tool box. Most of all, be open and honest when you are writing. Write from your heart. Now let’s get started! Read this weeks blog post: “Finding What Excites Us.” Then set the timer for 20 minutes. I want you to come up with a list of at least 10 things that you can do that would bring some excitement into your day. Maybe it’s taking a day trip somewhere you’ve always wanted to go, or taking a class, or trying a new cuisine, or trying a new kind of sport. Don’t just write “ice skating,” or, “kick boxing.” Write down what it is that attracts you to it and raises your excitement level a few notches. When you are done with your assignment, put it away and take it out the next day to read. Any insights? Which one will you choose to do today? Write about it now … and then go do it! Peace and blessings. Read this week’s blog post: “All The Ages We Have Been.” Then set the timer for 20 minutes. For this assignment, I want you to call up your inner 10-year old and ask her to plan an adventure for you. Don’t let your ego, that internal critic, give you all the reasons why you can’t or shouldn’t even entertain the idea of an adventure. You are the Indiana Jones of your own imagination. However, the adventure should be something you could actually do. Always wanted to go hang gliding? Climb mountains? Ride a camel? Whatever it is, write it down. Go into detail about who, what, when and where. Be bold, be courageous! When you are done, put your work away and take it out the next day to read. Any insights? Thinking about pulling out your suitcases? If so, write about it now. Peace and blessings. Read this week’s blog post: “The Big Picture.” Then set the timer for 20 minutes. Think of a time when you were “short sighted,” not allowing yourself to see the big picture. Or, it could be something that you are focusing on now. How did your limiting beliefs keep from you from soaring, or, how might seeing the big picture now allow you to fly? What is weighing you down and what could you let go of? When you are done with your writing, put your work away and take it out the next day to read. Any insights? If so, write about them now . Peace and blessings! Read this week’s blog post: “Exactly Where I Need To Be,” then set timer for 20 minutes. You have two choices here: you can either think of a time when you pushed yourself out of your comfort zone to walk your talk, or, an opportunity that may be out there right now for you to do that very thing. It could be something connected with the work that you do, or work you’d like to do, or a cause you believe in, or anything and everything. The key is that it has to be something that makes you “scared and excited” all at the same time. When you know what that is, write about it in detail and include why you were scared to do it and what pushed you – or is pushing you – to get out there and do it. This may even be the catalyst to do something you’ve always wanted to try. Remember, words have power when we see them on the page. When you’re done writing, put your work away and take it out the next day to read. Any insights? Write about them now. Peace and blessings! Read this week’s blog post: “First Buds.” Then set the timer for 20 minutes. Imagine for a moment that, like a tree in spring, you are getting ready to send out the first buds of your new. authentic life. Number your page from 1-5 and decide on which new “buds” you want to bring forth into this new season of your life. For each “bud,” write out in detail what it is, what steps you can take to bring it into bloom, and what fuel from your old life, your winter, has fueled your desire for this new direction. Do an honest inventory of your life and create buds that are bound to bloom for you. When you are done, put your work away and take it out the next day to read. Any insights? Could you add tweak your list a bit? If so, write about it now. Peace and blessings. Read this week’s blog post: “Oh Teacher, My Teacher.” Then set the timer for 20 minutes. Think about a teacher that meant a lot to you, one that “touched your soul” as we talked about in the blog post. It doesn’t necessarily have to be a teacher from a school you attended. It could be someone you met briefly, or even a friend or family member. When you have that person in mind, write them a thank you letter. Tell them what it was that they taught you and how it has stayed with you as you grew in years and, hopefully, wisdom. Thank them for taking the time to share their wisdom with you and let them know that you hope to one day be that teacher for someone else, paying it forward. When you are done with your work, put it away and take it out the next day to read. Any insights? Have you come up with a way to “pay it forward?” If so, write about it now. Peace and blessings. Read this week’s blog post: “Home to Avalon.” Before we set the timer, I want you to find a quiet place to sit, inside or outside, wherever you feel safe and will not be distracted. Close your eyes and take a few deep, cleansing breaths. Once you have centered yourself, ask yourself the following question: “What is my deepest desire?” Then just sit in the silence and listen. If nothing comes up after a few minutes, ask the question again. You may notice a tightening in the area of your heart or stomach. That is your cue that you are somehow not allowing the answer to come through. This may be because you are afraid to find out what it is. Don’t be. Your true self knows what you need. When you think you have an answer, open your eyes and set the timer for 20 minutes. Now write what you heard and why you think your soul wanted you to know that. What has been keeping you from fulfilling that desire? If, however, you did not get a definitive answer, write about what you think it might be and why you think it wouldn’t come up for you. When you are done, put your work away and take it out the next day to read. Any insights? Have you thought of what one, small step you could take right now to realize that desire? If so, write about it now. Peace and blessings. Read this week’s blog post: “Being Dorothy.” Then set the timer for 20 minutes. Close your eyes and image that you are flying in a hot air balloon way up above the clouds. Suddenly the clouds part and the balloon starts to descend. There below you is your new, authentic life. It contains all of your hopes and dreams, the things on your Bucket List, the people you love, etc. Now open your eyes and answer this question: “What does your new life look like? Who is there? Where do you live? What do you do? What brings you joy? ” This one may well take more than 20 minutes so feel free to set it for another 10 or 20 … or not at all! For this assignment it is all about fun, and dreams, and adventure – no time limit required. When you are done, put your work away and take it out the next day to read. Any insights? Is there something you wish to add or change? More importantly, is there anything that calls to you, that says “why wait for Oz when you can do it now?” If so, write about it now. Peace and blessings! What does authentic mean to me? Does this definition match the one I wrote 2 years ago (if you didn’t do the first one, just skip this)? What does my authentic life “look” like? What does my authentic life “feel” like? Does this match up with what I wrote 2 years ago (again, if you didn’t do the first assignment, you can skip this one)? Why or why not? In other words, what would you change about your life now? Be as honest and open as you can. Don’t brand yourself a failure if what you envisioned didn’t come true, or if it did, it wasn’t what you thought it would be. This is the place where you get to make a course correction if needed. We are never wrong. Every challenge is an opportunity to grow. When you are done, put your work away and take it out the next day to read. Any new insights? Anything you want to add or change? If so, write about it now. Read this week’s blog post: “P.S. I Love You.” Then set the timer for 20 minutes. If possible, I’d like you to hand write this one. There is something more personal about holding a pen in your hand and letting the words flow across the page. I want you to write a letter to yourself that starts: “Dear (fill in you name), I am so proud of you for (fill in).” Then continue with : “I am also proud of how you (fill in).” Continue in this fashion until you have come up with five things you can be proud of yourself for even if one of them is doing this assignment. Make you sure you close the letter with a loving sentiment. When you are done writing, put your work away and take it out the next day to read. Any insights? Did you think of anything else you could add to your list? If so, add it now. Here comes the surprise ending – put the letter in an envelope and mail it to yourself. Actually put a stamp on it and toss it in a mailbox. When the letter arrives in a day or two, open it up and read it out loud to yourself. When you are done reading it, take out a journal, device or just a piece of paper and write down how that made you feel. Peace and blessings, dear ones, and Happy Valentines Day. Read this week’s blog post: “Finding Our Way Back.” Then set the timer for 20 minutes. Whether you are a member of the Boomer Generation, or any generation before or after, we each have a belief, a cause, a feeling in the pit of our stomach that something needs to change. That was the inner pull that gave birth to the events of 1969. What is your inner pull? What cause or belief pulls at you, and what can you do to “be the change?” It does not necessarily have to be something big like marching in the streets, but everyone can do something. Write across the top of the page: “The one thing I believe most needs to change is…..” Go into as much detail as you can and don’t spare the adjectives! Then start a new sentence: “One thing that I can do to be the change is ….” Again, it can be something as simple as stuffing envelopes, writing blogs (hint, hint), raising money, making phone calls, etc. Everyone can do something. When you are done, put your work away and take it out the next day to read. Any insights? Did you think of other things you can do to find your way back? If so, write about it now. Peace and blessings. Read this week’s blog post: “Your Work To Do.” Then set the timer for 20 minutes. Make a list of things that peak your interest, or that you’ve always wanted to try. What do you do that brings you joy when you do it? What kinds of programs are you drawn to on TV or the Internet? What blogs do you follow? All of these things are clues to what is waiting withing you to come forth, your work to do. When you’ve made your list, zero in on the one that hits your “inner ding” and take a few moments to ask yourself: “What small step could I take to find out more about this thing?” Write that down next to that item, then check to see if there are any others that also draw you to them, asking yourself the same question and writing down a small step next to them as well. When you are done, put your work away and take it out the next day to read. Any insights? Is there a small step that you are anxious to take? If so, write about it now. Peace and blessings. Read this week’s blog post: “Me, Myself, And I.” Then set the timer for 20 minutes. Take out a sheet of paper. I want you to do this on paper, not on the computer screen. There is something about connecting your hand to the pen, and then to the paper, that changes the energy and the inspiration of what you are writing. Take a moment to think about what you perceive as mistakes, things you have done for which you have not forgiven yourself. Whether it was a word, an action, or even a thought, if you’ve been beating yourself up over it up until now, write it down. Then, next to each item, write a note of forgiveness to yourself as if you were writing to a naughty child who is saying, “I’m sorry.” It doesn’t matter why you did what you did, just that it is in the past, it’s over, and carrying all that baggage makes moving on so much harder. Go down the list until you have written a forgiveness note for each item. When you are finished, put your work away and take it out the next day to read. Any insights? Do you feel a little lighter and hopeful than you did before you wrote it? If so, write about it all now. Peace and blessings. Read this week’s blog post: “Cause For Celebration.” Then set the timer for 20 minutes. Write down these four senses: taste, sight, sound, touch. Then write down as many things as you can that bring you joy for each one. What are your favorite tastes, sounds, sights, feelings? What makes your heart sing? Close your eyes and imagine experiencing each one as if it were actually happening and bring as much detail as you can to your description. When you are done, put your work away and take it out the next day to read. Any insights? Feeling like celebrating? If so, write about it now. Peace and blessings. Read this week’s blog post: “Who’s Signing Your Permission Slip?” Then set the timer for 10 minutes. Think of something you’ve always wanted to do, something that speaks to your heart. It could be a trip to a place you’ve always wanted to visit, or learning a new skill, or even moving to a completely new town or city. Whatever it is, sit quietly for a moment and get in touch with your authentic self, the one who speaks the truth. Then open your eyes and write out your own permission slip to do that thing that will feed your spirit. You can go into as much detail as you want, including why you want to do this particular thing and how you think it will contribute to the authentic life you are creating. When you are finished, put your work away and take it out the next day to read. Any insights? Might you just take that bold step and actually do what you’ve given yourself permission to do? If so, write about it now. Peace and blessings. 1. What will they put on your tombstone? 2. What do you want the greatest accomplishment of your life to be? When you are done, put your work away and take it out the next day to read. Any insights? Did you answer either question differently than you did when we did this exercise back in March? Both? Neither? If so, write about it now. Peace and blessings. Read this week’s blog post: “And So It Goes …” Then set the timer for 20 minutes. Write this question across the top of the page or screen: “What did I accomplish this year that I set out to do last January?” Be as detailed as possible and don’t forget that even the smallest of accomplishments are something to celebrate. When you have finished answering that question, go on to the next one: “What did I not accomplish this year that I set out to do last January?” This is not a opportunity to berate yourself or point the finger of blame. It is an honest assessment of what you, for whatever reason, did not get done. The last question is to ask yourself: “How do I feel about each list and the things on it?” When you are done, put your work away and take it out the next day to read. Any insights? Do you have a better idea of what you want to accomplish in the year ahead and how you will treat yourself along the way? If so, write about it now. Peace and blessings! Read this week’s blog post: “Yes Virginia … Forever And Ever.” Then set the timer for 10 minutes. Imagine you are the editor of the New York Sun, and an 8-year-old girl has just written you a letter asking if there is a Santa Claus. How would you answer her? Go deep into your own memories of what it felt like to be 8 years old and write from there. When you are done, put your work away and take it out the next day to read. Any insights? Did what you write have an affect on how you feel about Christmas yourself? If so, write about it now. Peace and blessings! Read this week’s blog post: “Call Me Irresponsible.” Then set the timer for 20 minutes. First, write an answer to the following question: “Do I take on the responsibility for everyone and everything even when it’s not mine to take on? If so, how?” When you are done with that question, answer this one: “In what areas of my life could I delegate responsibility to others?” When you are finished, put your work away and take it out the next day to read. Any insights? Ready to let go of a little more? If so, write about it now. Peace and blessings. Read this week’s blog post: “The Right Gifts For The Right Reasons.” Then set the timer for 20 minutes. Yep, you guessed it! I want you to write a letter to Santa Claus, only in this letter I don’t want you asking for those really cute boots you saw online or a vacation in the Bahamas. I want you to take an inventory of your inner self, the place where you store your beliefs and ideas about the world, and I want you to ask Santa for those things you need more of. Maybe it’s patience, or humility, or love, or understanding. Maybe there are qualities and gifts you want for your loved ones. Whatever it may be, put it all down on paper (it’s okay, Santa is used to long letters). Be open and honest. When you are done, put your work away and take it out the next day to read. Any insights? Do you need to add a P.S. before you send it off? if so, write about it now. Peace and blessings. Read this week’s blog post: ” I Remember …” Then set the timer for 10 minutes. This week I am taking a page from my very favorite writing teacher, Natalie Goldberg, who taught me all about writing practice. Write across the top of the page or screen: “I remember …” and then keep writing for 10 minutes, always keeping your hand moving. Write whatever comes up without questioning or editing, just free flow. When you are done, set the timer for another 10 minutes and write “I don’t remember …” and repeat the practice. When you are done, put your work away and take it out the next day to read? Any insights? What do you think made you choose the memories, or lack of them, that you chose to write about? Is there a way you can take the negative memories and reframe them? If so, write about that now. Peace and blessings. Read this week’s blog post: “Tell Me A Story.” Then set the timer for 20 minutes. Think back over your life and pick an instance that would make a good teaching story. Maybe it was about a road not taken, a personal challenge, a loss, a miracle, or anything that taught you a valuable life lesson. What did you learn from it? Were you the hero or the victim? Write it all down in story form as if you were going to use it to teach others what you learned. When you are done writing, put your work away and take it out the next day to read. Any insights? Is there anything you would add or change, including the ending? If so, write about it now. Peace and blessings! Read this week’s blog post: “Thank You, Mr. Thoreau.” Then set the timer for 20 minutes. Who are the heroes in your life? Are they real people, literary characters, inspiring individuals in history? Who has had the most impact on your life? Sit down and write them a “thank you” letter. It doesn’t matter if they are alive or have passed. Write it as if they are still with us. Tell then how they have changed your life for the better. Don’t hold anything back. You may find that their effect on you goes even deeper than you realize. When you are done, put your work away and take it out the next day to read. Any insights? Write about them now. P.S. If your hero is still alive, drop your note in the mail. It just might change their lives the way they changed yours. Peace and blessings. Read this week’s blog post: What You See Is What You Get.” Then set the timer for 20 minutes. Think about how you present yourself to the world. Are you being honest with what you show to others, or are you hiding behind a fictional adaptation? Maybe you are glossing over certain areas of your life, or are afraid that to be honest will make you seen “not good enough.” Maybe you are running a business and are afraid that to be honest and open with your clients will send them running! Being as truthful and honest with yourself as you can, write across the top of the page or screen: “One way that I am not being authentic is …” and start writing. If there is more than one area you think needs to be addressed, keep going. Include in your answer how you think others will treat you if you come clean and live openly and authentically. When you are done with the assignment, put it away and take it out the next day to read. Any insights? How could you turn this around so that you are living a truly authentic life? Write about it now. Peace and blessings. Read this week’s blog post: “Finding True North.” Then set the timer for 20 minutes. Across the top of your page or screen write: “Home is ….” and start writing. Be honest with yourself about what your deepest ideas and feelings about home really are. When you’ve finished, write : “Where I live now does/doesn’t feel like home because ….” Again, go deep. Are you perfectly happy and content where you are, not only geographically, but authentically? If so, write down all the reasons why. If not, why not? When you’re done answering that question, ask yourself what you would change, if you could or wanted to, in order to create the authentic home to compliment your authentic life. When you are completely finished, put your work away and take it out the next day to read. Any insights? Write about them now. Peace and blessings. Read this week’s blog post: “The Sound Of Your Own Voice.” Then set the timer for 20 minutes. Think of a time when you realized that you chose to speak with your own, authentic voice and not the voices of others, especially if those belonged to people close to you like your parents, your friends, or your religious leaders. What was it that you spoke out about, and what prompted you to finally find the courage to break from the crowd? How did that feel? How did you handle the reaction of others to your decision? Be as honest and courageous on the page as you were when you spoke out. When you are done, put your work away and take it out the next day to read. Any insights? Is there something going on in your life right now where you need to separate your voice from the crowd again? If so, write about it now. Peace and blessings. Read this week’s blog post: “See You In The Field.” Then set your timer for 20 minutes. Take a moment and think about an issue about which you have strong feelings. Without getting embroiled in the reasons why the other side is wrong and you are right, challenge yourself to look at the issue from the other side. Why do they feel as they feel about this issue? Is there even a tiny point upon which both sides can find common ground? Look within yourself and find that place, that “field,” and write out your thoughts about a way to compromise, even if it’s just on one small point within the entire issue. Really challenge yourself to find a way through to Rumi’s field. When you are done writing, put your work away and take it out the next day to read. Any new insights? Write about them now. Peace and blessings. Read this week’s blog post: “Fierce With Reality.” Then set the timer for 20 minutes. Look back on your life and try to identify those things that you saw as failures, or mistakes, or possibly even a lack of good judgement. Write them down. Then go back and look at them again. Have you been spending your life “uprooting” them, trying to find out what went wrong? Would you be willing to let them go, to “plow them under” so they can nourish your future instead of keep it stuck? Take the issues you’ve listed and, taking each one by one, write: “I accept and embrace all that I am, and let this issue go.” When you are done, put your work away and take it out the next day to read. Any insights? If so, write about them now. Peace and blessings. Read this week’s blog post: “Your Gift To The World.” Then set the timer for 20 minutes. I’m not going to ask you to look up all the things that happened on the day you were born, but what you can do is pick one category, like top selling song/movie/book, or headline for the day. Think about all the things that you have seen or experienced in your life, the inventions and innovations that were only ideas and dreams when you were a child. Now ask yourself: “Have I used what I’ve learned and experienced since the day I was gifted to the world? And what has my gift back to the world been?” Have you been holding back your gifts, or trying on other people’s gifts instead of sharing yours with the world? Remembering that there is, and always will be, only one “you,” how could you shine your light even brighter? Take your time with this, resetting the timer if needed. When you are done, put your work away and take it out the next day to read. Any insights? Write about them now. Peace and blessings. Read this week’s blog post: “Lessons For A Lifetime.” Then set the timer for 20 minutes. Now stop and think for a moment of something that you have always wanted to learn about, whether it was a skill, a place, a concept, a profession – in short, anything in the whole wide world that you have always wanted to know more about. What is it about this subject that excites you, that makes you want to know more? How would knowing this, or achieving a certain level of competency in it, make a difference in your life? Go deep here and get to the root of the why. Is there anything stopping you from engaging this subject? Why or why not? When you are finished with your work, put it away and take it out the next day to read. Any new insights? Maybe some motivation to sign up? If so, write about it now. Peace and blessings. Read this week’s blog post: “With Praise And Gratitude For Teachers.” Then set the timer for 20 minutes. Let’s pretend it is our first day back at school and we have been assigned the dreaded “What I Did Over The Summer Vacation” essay, except this one will be titled: “My Favorite Teacher and What They Taught Me.” Certain teachers become our favorites not only because of their talent and attention, but because something they teach us, with or without our knowing it, stays with us and has a profound affect on our lives. Think about that teacher, and that lesson, and write down why each was so important to you. When you are done, put your work away and take it out the next day to read. Any insights? Write about them now. Peace and blessings. Read this week’s blog post: “The Courage Of Our Convictions.” Then set the timer for 20 minutes. Ask yourself if there is a cause that you currently support or, even better, that you supported once but let go of as your “real life” got busy and more demanding. Was there something you believed in enough to fight for in your own youth but gave up on? Or, are there things that you still support? What? How? Is there a way that you can use the power of the written word to make yourself heard, to speak for those who can’t? Get real about your feelings on this issue and ask yourself how you can “be the change.” When you are finished, put your work away and take it out the next day to read. Any insights? Write about them now. Peace and blessings. Read this week’s blog post: “Picture Perfect.” Then set the timer for 20 minutes. Think of your most cherished photograph, perhaps one from your childhood, or a trip you took, or a significant other. Perhaps you can even pull the picture out and place it next to you for this assignment. Look deeply at the photo, and then write down what you see, being as descriptive as possible. Now write down what memories that picture brings to mind, what feelings, what emotions? Why does that picture have that effect on you? What would happen to your life going forward if you lost it? Be as honest and descriptive as possible. When you are done, put your work away and take it out the next day to read. Any insights? Write about them now. Peace and blessings. Read this week’s blog post: “Finding Your Ikigai.” Then set the timer for 20 minutes. Everyone has grown up with age-old sayings or advice in our families, wisdom passed down from one generation to another. Together with what we now know about healthy and conscious aging, take some time and come up with your own Top Ten Rules for a long and healthy life. Do you know anyone who has lived to be 100, or at least well into their 90’s? What is it about them that has contributed to their longevity? Can you adapt it as one of your Top Ten Rules? Write from your heart and what you truly believe about healthy and happy living. If you need more time, set the timer for at least another 10 minutes. When you are done, put your work away and take it out the next day to read. Any insights? Might there be a number 11 or more that you want to add to your list? If so, write about it now. Peace and blessings. Read this week’s blog post: “The Gifts of Invisibility.” Then set the timer for 20 minutes. What are your feelings about how older people are treated in our culture? Are you old enough to have experienced being treated as if you were invisible? If not, do you know someone who has, or someone who has bought into the idea that after a certain age there are no longer relevant? Describe your feelings and experiences around the subject. After that, describe what needs to change in the way we handle aging. When you are done, put your work away and take it out the next day to read. Any insights? Any new ideas? If so, write about them now. Peace and blessings. Read this week’s blog post: “Just One More Book.” Then set the timer for 20 minutes. Now ask yourself this question: “Is there, or has there been, anything I’ve put off doing in my life because I think I’m not good enough/smart enough/haven’t learned enough …etc.” If you overcame your doubts and finally took the plunge, what was it and how did you overcome your fears? If you’re still in that place and need to take a leap of faith, what’s stopping you? What do you hope to get from one more book/class, etc? Dig deep and get the the truth of the situation. Don’t worry, no one else will see this except you (unless you are the one you’re afraid to admit this to). Write it all out. When you are done, put your work away and take it out the next day to read. Any insights? What have you learned? Are you ready to take that leap? If so, write about it now. Peace and blessings. Read this week’s blog post: “The Dress.” Then sent the timer for 20 minutes. Go back in your memory and think about an item that belonged to one of your parents. It could be an article of clothing, a piece of jewelry, a favorite tool or household item, something that, when you think about it, brings back memories of them. If it is something that has passed down to you, get it out and hold it in your hand. What are you thinking? If you don’t have it on hand, close your eyes and imagine holding it in your hands. What memories do your senses paint for you? How does it define your parent? When you have captured that, start writing. Take yourself down memory lane and see where it leads you. When you are finished, put your work away and take it out the nest day to read. Any insights? Memories that you had forgotten all about? What do they say to you now? Write it all down now. Peace and blessings. Read this week’s blog post: “The Duke, My Dad, And A Bowl Of Popcorn.” Then set the timer for 20 minutes. Take a deep breath and close your eyes. Go back in time to a person or place that made you feel safe and special when you were a child. Perhaps it was one-on-one time with someone, like a parent or grandparent, or a regular place you visited, or a special person you looked up to, a hero, if you will, who made you feel that everything would be ok. Connect to that feeling. Now write about it, going into as much detail about it as you can, including place, day of the week, time of the year, your age, and what was going on in the world around you at the time. What about it made you feel that everything would be okay in the end? When you are done, put your work away and take it out the next day to read. Any insights? Did you learn something about how you experience the world now? if so, write about it now. Peace and blessings! Read this week’s blog post: “Time For A Reality Check.” Then set the timer for 20 minutes. Take a moment to close your eyes and sit quietly for a moment, taking a few long, deep breaths. Now, put your attention on the sounds around you and really, really listen to them. Traffic? Birds? Music? Someone using a sweeper? A child crying or a dog barking? Next, move your attention to the smells around you. What do you smell? Coffee? Tea? An essential oil burning in a diffuser? Someone next door cooking something? Or, if your window is open, maybe the smell of cut grass, flowers? Take it all in. Now open your eyes and look around you. What colors do you see? Are you near a window? What do you see outside, the colors and scenery? What about the objects on your desk or wherever you’re sitting. Pick something up, any object that you can hold in your hand. Feel the texture, the weight. Notice the color, shape and any design. Put the object down and close your eyes again. Think of one of your favorite tastes, like chocolate, or flavored coffee, or an herbal tea, or ice cream! Try to experience that taste now. After a minute or two, open your eyes. Spend the next 20 minutes writing about everything you just did, what you heard, saw, touched, smelled, tasted and experienced. Write it as if you are trying to explain it to someone in a letter, or as background for a scene in a book. Experience each and every one of your senses as if there were brand new. When you are done with the assignment, put your work away and take it out then next day to read. Any insights? Were you able to re-live those experiences through your written words? Write about it now. Peace and blessings. Read this week’s blog post: “Confessions Of A Rainy Day Writer.” Now, instead of setting your timer for 20 minutes, take yourself outside for 10 minutes (20 if you can do it) and just sit. Take in everything that is going on around you. What’s the weather like? Are you alone or are there other people around you? Are there animals? Birds? Squirrels? Are you in a town, city, or the country? What sounds do you hear? What do you smell? Do any of the sounds or smells spark a memory, perhaps from your childhood? Close your eyes for a moment and breathe it all in. When you feel you have it, pull out your notebook or whatever you write on (no one said you couldn’t write outside as well if you are able – if not, just return inside, preferably in front of a window). Now you can set the timer for 20 minutes. Write down all of what you just experienced as if you were writing a letter to a dear friend far away, or writing the opening chapter of a book. Make it as real and as alive as you just experienced it. When you are done, put your work away and take it out the next day to read. Any insights? How did this experience deepen your life and your writing? Write about it now. Peace and blessings. Read this week’s blog post: “Life Lessons From Out Of The Blue.” Then set the timer for 20 minutes. Close your eyes and visualize yourself at the age of 100! You are happy, healthy, and full of life. Your grandchildren and great-grandchildren are all around you as they come together to help you celebrate this milestone. Someone asks you this question: “What have been the most important lessons in your life that have helped you to reach the age of 100?” Now, open your eyes and write down your answers. Keep in mind that, for the purposes of our assignment, you will be passing this wisdom down to those that come after you (you can do this for real, if you wish, or just imagine it). Try to think from the perspective of someone who has lived, seen and experienced a full and productive life. If you need more time, set the timer for another 10 or 20 minutes. When you are done, put your work away and take it out the next day to read. Any insights? Do you want to add something else to your list of wise advice for the younger generation? If so, do it now. Peace and blessings.! Read this week’s blog post:” Leaving It On The Page.” Then set the timer for 20 minutes. Think about something that is really bothering you. It could be a concern, a worry, a fear, a limiting belief, or something that you are really angry about. It could even be a person you are angry with, or some injustice that has rankled you. Whatever it is, now is the time to get it out of you and on the page. This is where you can rant, rave, verbally kick something, stand your ground, and let the world know “I’m not taking this any more.” It is possible that you may go beyond the 20 minutes you set on the timer. In this case, take as much time as you need until you start to feel as if you are empty of all the negativity you’ve been carrying around from this issue. When you are done, close your notebook or screen and put your work away. Now, here is where I am breaking with our usual practice …do NOT take it out again the next day to read. Once you have closed the book on this issue, in a manner of speaking, you are done. Whatever it is has found a new place to live and, hopefully, will not be back to rob you of your emotional freedom. If you find that down the road something else pops up and takes a bite out of you, pull out your trusty notebook and have at it. Remember that words have power not only to inspire us, but to heal us. Peace and blessings! Read this week’s blog post: “At Home In Our Inner Mansion.” Then set the timer for 20 minutes. Imagine the different areas of your life as different rooms in your inner mansion, such as emotional, spiritual, physical, material, relationships, financial, etc. Pick one room where you feel as if you need to spend some time “redecorating,” or, “remodeling” that area of your life. Write down how the room functions now, and how you would like it to function. What would you have to do/change to do so? When you have finished one room, move on to another. You may want to reset the timer for another 20 minutes or so for each room you choose to go into. On the other hand, perhaps you only need to “remodel” one room at present. Just take your time until you feel totally comfortable in that room. When you are all done, put your work away and take it out the next day to read. Any insights? Do you need to go back and attend to a detail in one of the rooms, perhaps make an additional change? If so, write about it now. Peace and blessings … and happy decorating! Read this week’s blog post: “Listening to the Experts.” Then set the timer for 20 minutes. Was there ever a time when you listened to your heart and followed its advice even if your head told you not to? If you’ve ever had that experience, write about it now, making sure to go into detail about what tipped the scales in favor of what your heart was telling you, and how it all turned out. Or, is there something that you want to do, a path you want to follow, that feels right in your heart but not in your head? This is the time to put it all on paper, listing not only the pros and cons, but what your heart is telling you to do. Remember, words have power when you put them on paper and see them in front of you. When you are done, put your work away and take it out the next day to read. Any insights? Have you been encouraged to follow your “inner ding?” If so, write about it now. Peace and blessings. Read this week’s blog post: “The Face In The Mirror.” Then set the timer for 20 minutes. Take a long, hard look at yourself in the mirror. Do you like the person looking back at you? Have there been times in your life when you were challenged to conform to the expectations of who you should be, whether it was how you looked, what you did, or how you lived your life? Have you made any changes in how you think about yourself now? If so how did you come to accept yourself as you are, or, if you don’t, then what steps can you take to do so? If it is true that “perception is everything,” how do you want to perceive yourself, and does it matter to you how others perceive you? Obviously, this could take more than 20 minutes so feel free to reset the timer or just go with the flow. Creating an authentic life starts with creating an authentic you. When you are done, put your work away and take it out the next day to read. Any insights? Any changes you would be willing to explore? If so, write about them now. Peace and blessings! Read this week’s blog post: “Uniquely One Of A Kind.” Then set the timer for 20 minutes. Across the top of your paper or screen anwer the following questions: “What makes you unique? Why are you the different one in your family? How has that uniqueness served you? What was one positive experience that came from being “different” from the flow?” Let this assignment be a celebration of who you are in all your quirky glory. When you are finished. put your work away and take it out the next day to read. Any insights? Feeling a shift? If so, write about it now. Peace and blessings! Read this week’s blog post: “Wishing and Hoping.” Then set the timer for 20 minutes. All of us have that one thing we regret not having done, that one thing that called to our authentic souls, but for whatever reason, we didn’t heed its call. What was that one thing, and why didn’t you do it? Would you do it now? What’s stopping you? Write down your answers to these questions and then ask yourself one more: “What would I have to do to answer this call now, and would I be willing to do it?” When you are done with your assignment, put your work away and take it out the next day to read. Any insights? Write about them now. Read this week’s blog post: “A Different Perspective On Fame.” Then set the timer for 20 minutes. What does the word “fame” mean to you? What would you like to be famous for? Who can you be? Give this one some thought, especially if it speaks to any changes you want to make in your work or in your life. If fame, like beauty, is in the eye of the beholder, in whose eyes do you want to be famous? When you are done writing, put your work away and take it out the next day to read. Any insights? Write about them now. Peace and blessings. Read this week’s blog post: “Making All The Pieces Fit.” Then set the timer for 20 minutes. Ask yourself this question: “What are the contradictions in my life, the parts of me that just don’t seem to fit in to the life I want?” An example would be if you are living in one place, but long to live in another. Or, if you are doing one kind of work or job, but know you should be doing something else. Another good example would be if the life you show to the outside world does not match your inner world. Whatever it may be, now is the time to put it down on paper so you can see it in the light of day. It may be that you have more than one “piece” that doesn’t fit. Just list them all. When you are done with that, give yourself a few minutes to meditate on these things, then go back and write down how you might find a solution, or a compromise, that would make all the pieces of your life fit. You might want to reset the timer for this one. When you are done, put your work away and take it out the next day to read. Any insights? Any more pieces that you want to rearrange? If so, write about it now. Peace and blessings! Read this week’s blog post: “What A Day For A Daydream.” Then set the timer for 20 minutes. Find a place where you can sit either outside or by a window where you have a view, and where you can comfortably write. Take a deep breath in and out. Look at the sky, the trees, the people, the houses. Are there any birds, squirrels or other wildlife around you? If you live in a city, take in what you see, hear, smell and feel. Now let yourself go and just daydream. Notice what your eyes settle on, what draws your attention. Does anything spark a question in your mind (like mine did wondering how the birds can maneuver in the wind), or does an idea pop up out of nowhere? After you have given yourself a few minutes to free-float, start your timer and write whatever comes up, letting it lead you wherever it wants. Don’t edit or cross out, just free-write. When you are done, put your work away and take it out the next day to read. Any insights? Ideas? Inspiration? If so, write about it now. Read this week’s blog post; “What I Know For Sure.” Then set the timer for 20 minutes. You guessed it, you are going to create you very own “What I Know For Sure” list. This is a list of those truths and beliefs that are the foundation for your life, that give you hope and courage to move forward because you know that something, or someone, always has your back. Write from your heart, not your head. When you are finished, put your work away and take it out the next day to read. Any insights? Are there any additions you’d like to make to your list? If so, do it now. When you are done, hang your list where you will see it each day to keep you grounded. Peace and blessings! Read this week’s blog post: “It’s Just A Matter Of Time.” The set the timer for 20 minutes. Write across the top of the page or the screen the following: “If I had all the time in the world, I would….” and let yourself fly! Time is no obstacle here. Whether it is something big or small, or a series of things, write them all down. You can go into as much detail as you like. Obviously, if you need more time, reset the timer for another 20 minutes. Have a blast with this one. When you are done, put our work away and take it out the next day to read it. Any insights? Have you been inspired to go for it? if so, write about it now. Just a reminder: I am on vacation next week so there will be no new blog post or assignment. You are free to try this one again, or find a previous one that really challenged you and give it a second look. Just remember to have fun. I wish you all a blessed Easter season. Peace and blessings. Read this week’s blog post: “An Invitation To The Feast.” Then set the timer for 20 minutes. You are going to create a menu for the life you deserve that does away with those things that rob you of your nourishment (like blame, unworthiness, and self-defeating, self-talk), and replace them with the foods of the soul. Start by writing across the top of the page or screen: “The things that no longer feed my spirit and that I am cleansing out of my life are ….” Think of all the things you believe make you unworthy of your authentic life and use the symbols of bad foods to describe them. When you have finished with that list, write: “I now place on the table the things that feed my spirit and bring me only joy and forgiveness …” and name those. Describe how they nourish you and cleanse you of what no longer serves you. You will probably have to reset the timer for this one. When you are done, put your work away and take it out the next day to read. Any insights? Did you think of any other foods that need to come off the menu and new ones that need to be put on? If so, write about them now. I wish you peace, blessings, and a grand feast! Read this week’s blog post: “Being A Good Ancestor.” Then set the timer for 20 minutes. Imagine that you are looking at one of your descendants, perhaps someone your own age now, or even younger. You want to “stand behind” them, as writer Linda Hogan tells us in the quote on the blog post, and whisper in their ear something that they need to know to live their own authentic lives. What piece of advice or wisdom can you share to carry with them? You can be really creative with this one, perhaps even creating a whole scene as in a book or play. However you do it, let it represent your true self on your own quest for authenticity. When you are done, put your work away and take it out the next day to read. Any insights? Did you think of something else that is important for them to know? If so, write about it now. Peace and blessings. Read this week’s blog post: “Answering The Big Questions.” Then set the timer for 20 minutes. Write across the top of the page the following question: What do I want the greatest accomplishment of my life to be?” Then start writing. Don’t just write something general like, “I want to bring peace and happiness to the world.” Get specific. Using your unique talents and gifts, and with the intention to live authentically, what do you want that accomplishment to be? When you have finished with that question, answer the second one: “What will they write on your tombstone?” How will your greatest accomplishment in life translate into what will be written there (I always thought Thomas Edison’s should have been “he brought light to the world, ” or, for the Wright Brothers, “they gave us wings to fly” ). See the connections? Anyway, have great fun with this one. Who knows? You may just change the world! Peace and blessings. Read this week’s blog post: “Ideas Worth Spreading.” Then set the timer for 20 minutes (you might need more this week so feel free to set it for 30). What would you like the world to know? What is the most important message you could share with the world? With this in mind, write your very own TED Talk on that subject. Keep in mind that your presentation can only last 18 minutes (although it can be shorter). Think about how you would motivate people to invest their time, or their money, or just to somehow be of service in helping you spread this message. When you are done writing, put your work away and take it out the next day to read. Any insights? Do you see some places where you could be more passionate and persuasive? If so, make those changes now. Who knows? There might just be a real TED Talk in your future! Peace and blessings. Read this week’s blog post: “Smoke and Mirrors.” Then set the timer for 20 minutes. Think of someone in your life that you like a lot. It could be a member of your family, or a close friend. Make a list of those qualities that you like about them, the things that make them uniquely “them.” Then look at the list and see if you can find any of those qualities in yourself. Write those down as well. Are there any qualities that you admire and wish you had? Look deeply within and see if you can find a time or a situation in your life where you actually did exhibit that quality and write that down as well. Now think of someone whom you dislike. What qualities do they have that makes you dislike them? Write them down. Now look at that list and ask yourself if there is, or ever was, a time when you may have mirrored those same qualities: were you dishonest, irresponsible, judgmental, critical? If so, write about that as well. You may need to give yourself another 10 or 15 minutes for all of this. When you are done, put your work away and take it out the next day to read. Any insights? Did you discover some inner qualities about yourself that you didn’t know you had? How does that make you feel? What changes can you see yourself making because of what you discovered? Write about it now. Read this week’s blog post: “Happiness is …” Then set the timer for 20 minutes. What does a happy life look like to you? What do you think are the things that make up a happy life? Are those things in your life now and, if not, why? What would you have to do to create a happy life for yourself? You may need to reset the timer for more time. Just go with it and write until you are “happy” with it. When you are done, put your work away and take it out the next day to read. Any insights? Do you feel a shift or some changes that need to happen in your life now? If so, write about it now. Read this week’s blog post: “Hello Again.” Then set the timer for 20 minutes. Imagine that you open the door to find your dearest, long lost friend, who you have not seen in many years. This is the friend with whom you could always share your deepest, darkest dreams and secrets. They tell you they have come back to remind you of who you really are. What do they say to you? Don’t be afraid to go deep and connect to that place within that knows the answer. When you are done writing, put your work away and take it out the next day to read. Any insights? Can you see where you may have gotten lost for all this time? If so write about it now. Read this week’s blog post: “Permission To Be Beautiful.” Then set the timer for 20 minutes. We are going to start stripping away those masks that hide our true beauty and let it finally shine through. Write the following across the top of the page: “The first mask I will tear away today is : …..” Make sure that as well as naming the mask, you explain why you feel the need to wear it and how it will make you feel to finally get rid of it. When you have finished with the first one, go on to the next, and the next, until you feel that there are no more masks hiding in your closet. When you are finished, put your work away and take it out the next day to read. Any insights? Have you discovered another mask or two hiding in the back of your emotional closet? If so write about them now. Peace and blessings. Read this week’s blog post: “And Now For Something Completely Different.” Then set the timer for 20 minutes. Write across the top of the page or the screen: “And now for something completely different, I dream of …” and run with it. What would you dare to do regardless of how outrageous or impossible it seems? There are no restrictions here so let your imagination soar. When you are done with your work, put it away and take it out the next day to read. Any insights? Does what you imagined still seem impossible, or do you detect a shift? If so, write about it now. Peace and blessings. Read this week’s blog post: “Knowing When To Wake Up.” Then set the timer for 20 minutes. Sit quietly for a few minutes and think back to a time when your soul was trying to get your attention, when it tried to tell you that your life at that moment wasn’t working? Perhaps you’re only getting that message now, or, perhaps you heeded that message in the past and your life changed as a result. Wherever you are on that path to authenticity, start out by writing: “My soul called me to wake up when,” or, “my soul is calling me to wake up now because …” and keep going. Try to give specific examples of what is not working and, more importantly, what needs to change so that it will work for you. This may take more than 20 minutes so feel free to write as long as it takes. When you are finished, put your work away and take it out the next day to read. Any insights? Has your soul spoken to you again, perhaps even louder, since you wrote this? If so, write about it now. Peace and blessings. Read this week’s blog post: “Dreams, Wings, and Other Things.” Then set the timer for 20 minutes. Go back in your mind to a time when something unexpected inspired you to do something that you might never have thought of by yourself, something that changed your life for the better. Perhaps it was a change of job, or home, or a trip you took, or a book you were led to read. It could be anything at all, big or small. If you truly cannot think of anything, perhaps you can recall someone in your life who experienced something that changed their lives. Whatever it is, write it out in as much detail as you can. When you are done, put your work away and take it out the next day to read. Any insights? Has anything “occurred” to you, or inspired you once again? If so, write about it now. Read this week’s blog post: “The Big Picture.” Then set your timer for 20 minutes. Go back and look at your work from last week’s assignment and note the promises you made in order to make changes in each of the areas of your life that you chose. As you look at each one, see if you get a sense of a deeper meaning behing each one of them, something that links them all together. Can you see it? Feel it? Spend the rest of the time writing about the “big picture” that is taking form and what that says about how you have changed in the last year, and how that has, or hasn’t, affected your idea of what your authentic life looks like. Feel free to reset the timer for at least another 10 minutes if you need to. When you are done, put your work away and take it out the next day to read. Any insights? What is the first thing that hits you? Write about that now. Peace and blessings! Read this week’s blog post: “Promises To Keep.” Then set the timer for 20 minutes. Pick three areas of your life that you would like to work on in the coming year. It could be your spiritual life, your physical life, your creative life, your relationships life, your emotional life, etc. When you have three, start with the first one and write: “This year I promise to … and keep going. Don’t overload each category. Just give yourself one or two things in each area that you want to accomplish, and make a promise to yourself as you write each one that you deserve to have your promises to yourself kept – you are deserving of that kind of commitment. When you finish one area, move on to the next one. Reset the timer if you need more than 20 minutes. When you are done, put your work away and … surprise … don’t take it out again until New Year’s Day! In the light of a new year, take a look at what you wrote and see if there is anything you wish to change or add. Does the idea of promises kept give you more hope for success than resolutions? Any other insights? Write it about it on New Year’s Day and start a whole new conversation going! Peace and blessings. Read this week’s blog post: “Home Grown Heroes.” Then set the timer for 20 minutes. Think back to times in your life when you stepped outside your comfort zone, or defied logic entirely and did something so out of character for you that it was an act of courage … in effect, when you were the hero of your own life. The easiest way to do this is to break down your life so far into blocks of 10-year spans (ages 1-10, 11-20, 20-30, etc.). If you need more time, set the timer for another 10 minutes or however long you think you’ll need. Be honest with this one. You are stronger than you know and have probably shown that countless times over the years; you just need to claim those times now. When you are done with your work, put it away and take it out the next day to read. Any insights? How does brining these moments to light empower you (or not) going forward into the new year? Write about that now. Wishing you all strength, love, courage, and the hope that you all become the heroes in your own lives that you so richly deserve. Merry Christmas and Happy New Year! Read this week’s blog post: “A Lesson From Home.” Then set the timer for 10 minutes. Write across the top of the page or screen: “What I remember most about Christmas as a kid is …” and then start writing. Include the highlights of the season as you experienced them when you were a child, even if some of them are not warm and fuzzy ones. When you are done, set the timer for another 10 minutes and write: “What Christmas means to me now is …” and go for it! Write from your heart, both the tears and the joy. When you are done, put your work away and take it out the next day to read. Any insights? Do you see a correlation between your childhood experiences and what you feel now? Do you see where you can reclaim some of that childhood magic? If so, write about it now. Peace and blessings! Read this week’s blog post: “An Authentic Life Is An Inside Job.” Then set the timer for 20 minutes. Across the top of the page or screen write: “Sometimes I feel as if I am not enough because ….” and keep writing. Identify those areas or experiences of your life where you believed you did not measure up, either because of someone else’s judgement of you, or your own. For example, I had an art teacher tell me once in high school that she never saw anyone who tried so hard and failed so miserably! Can you imagine what that did for my love of art? It kept me locked in the box marked “Not Good Enough” for 30 years until a dear friend helped me unlock it. If there is more than one area of your life where you have experienced “not enough,” start a new sentence: “Another time I felt I was not enough was when ….” Reset the timer for another 20 minutes if you need to. When you are done, put your work away and take it out then next day to read. Any insights? Have you been able to find places where you can let go of the past and embrace the idea that you are enough? If so, write about them now. Peace and blessings. Read this week’s blog post: “Holding On To What Matters.” Then set the timer for 20 minutes. Think about the things that matter the most to you, things that represent the foundation of your life. I don’t meant your material possessions, but those qualities and ideals that you hold dear. When you have come up with at least three of them, write across the top of the page or screen: “One thing that is most important to me in building an authentic life is ….”, and keep writing. When you finish one thing, go on to the next one: “Another thing that is important to me is ….” If you need more time, set the timer for another 10 minutes. When you are done, put your work away and take it out the next day to read. Any insights? Is there anything you would change? Add? If so, write about it now. Peace and blessings. An elderly woman steps out on her front porch to collect the mail. As she is sorting through the junk mail and bills, she sees a strange envelope. The envelope has a vaguely familiar return address. She opens the letter, pulls out a sheet of paper and begins to read. Suddenly her eyes widen in surprise! Okay, writers … what’s in the envelope? Write what you think it is and fill it in with a little background information, especially if what is in the envelope refers to something from her past. If you find yourself on a roll, set the timer for another 10 minutes. When you are done writing, put your work away and take it out the next day to read. Any insights? Now here is the fun part. Make sure you leave a brief description of what you came up with in the Comments section of the blog post page, then go back and see what other folks came up with. See how differently each person answered the question from their own unique perspective. Sharing ideas and insights is what makes life so much more interesting. As always, have fun and keep writing. Peace and blessings! Read this week’s blog post: “Learning To Sit With It.” Then set the timer for 10 minutes. Think of a decision or choice you made that is causing you to second guess yourself. Perhaps someone close to you challenged your decision (for your own good, naturally), or perhaps you suddenly feel all alone out there, the only one to challenge the norm. Whatever it is, write it across the top of the page or screen and start with the first question: “Does this choice bring beauty or value into my life?” Then close your eyes, breath deeply in and out a few times, and listen. Don’t start an internal dialogue with yourself, or debate the issue, simply sit, breathe and listen. It also helps to smile a bit, a tiny, Mona Lisa-like smile. If you need to and have something peaceful to look at, you can open your eyes and enjoy the view while you sit. When the timer goes off, start writing whatever comes up. Keep going on to the second and third questions if you can: “Does this choice bring me joy? Am I willing to give something or someone up to continue to live my authentic life based on this choice?” If you need to, reset the timer for another 10 minutes and just sit in order to calm your mind back down and listen to your heart. Do this as many times as you need to. When you have answered all three questions, put your work away and take it out the next day to read. Any insights? Do you still agree with what you wrote? Write down anything that comes to you from this experiment now. Read this week’s blog post: “It’s Just A Matter Of Time.” How appropriate it is that as we are talking about the idea that there is no such thing as time, I am about to ask you to set the timer for 10 minutes! So, how about trying a new experiment with our writing assignment this week? Across the top of the page or screen, write: “One way I let time rule my life is …” Then start writing … without a timer! Write for as long as it takes you to say what is in your heart. When you have finished with that train of thought, write: “Another way I let time rule my life is …” and go for it. Once you have completed at least two examples of how time rules your life, complete this thought: “Some ways that I can be more present in my day to day activities are …” Again, take as long as it takes for you to voice your ideas on the page. This isn’t a race to be won, it’s an authentic life to be created! When you are finished, put your work away and take it out the next day to read. Any insights? Have you thought of some more ways that you can take your life back from the clock? If so, write about them now. Peace and blessings! Read this week’s blog post: “A Safe Place To Fall.” Then set the timer for 10 minutes. We’re going to take a page from best selling author and writing teacher, Natalie Goldberg, and play with some writing prompts. One of her favorite ones is: “I remember …” Start with this one and write for 10 minutes. If you find yourself stuck, write “I don’t remember …” and see where that takes you. When your 10 minutes is up, think of an idea or an intention that you have been wanting to manifest. Set the timer for another 10 minutes and write “what if?” across the page, then keep writing. If you get stuck, go back to “what if” and keep going. When you are finished, put your work away and take it out the next day to read. Any insights? Have you broken through anything that has been holding your back, or, have you discovered something that can help you move forward? If so, write about it now. Read this week’s blog post: “Our Authentic Connection To The World.” Then set the timer for 20 minutes. Have you ever had a transformational moment in nature, a moment when you were transported from where you were in your human existence to a different existence, experiencing the world as something other than human? If so, describe that moment in as much detail and color as you can. If you haven’t had this sort of experience, have you ever wondered what it would be like to be some other creature? Pick the one that appeals to you the most and sit for a moment, eyes closed, and feel what it would be like to be that creature. What do you see, smell? Where are you? Open your eyes and describe the experience in as much detail as possible. Open yourself up to seeing the world through the eyes of another. When you’re done, put your work away and take it out the next day to read. Any insights, thoughts to add? How did this assignment make you feel? Write about it now. Read this week’s blog post: “Harvesting Life’s Lessons.” Then set the timer for 20 minutes. Think back to the year as it has played out so far since January. What have been the key highs and lows – the key “ingredients” – that come to mind? Have there been successes? Less-than-successful moments? Do some stand out in your mind like a shiny apple, and do others look like bruised produce? If you were to put them all in a pot and cook them up, what would come up? How would you season it so that it results in something that feeds your soul and nourishes your spirit? What would you call this new recipe? Take extra time with this one if you need to. Sometimes things must “simmer” a bit longer for the best results. When you are done, put your work away and take it out the next day to read. Does your “recipe” need a bit of tweaking? If so, write about that now. Peace and blessings … and happy cooking! Read this week’s blog post: “A Story For Anyone Who Thinks She Can’t Save The World.” Then set the timer for 20 minutes. Have you ever stood up for something you considered to be important? Have you ever come together with others to let your voices be heard? What was it about and why was it important to you? How did it make you feel? Would you do it again? If you’ve never had this experience, would you? If so, for what reason? If not, why not? What would you be willing to risk to stand in your truth? This may well take more than 20 minutes so feel free to reset the timer. When you are finished, put your work away and take it out the next day to read. Any insights? Have you been motivated to do something to stand in your truth? If so, write about it now. As always, have fun with this and, remember, always keep writing! Peace and blessings. Read this week’s blog post: A Conversation With Fear. Go within and ask yourself if you have any fears about aging, or any fears about how you see your life going forward. Make a list of those fears and then choose one. Set the timer for 20 minutes and write down the fear, asking it to have a conversation with you. Then sit back and see what comes up. Keep the conversation going and don’t hold back. Being honest with ourselves is the first step in making positive and lasting changes in our beliefs and in our lives. Don’t try to do more than one at a time unless the one you are on naturally leads you into another. You can take more time if needed, but do commit to at least 20 minutes. When you are finished, put your work away and take it out the next day to read. Have their been any shifts or insights? If there are more items on your list, choose another one and repeat the process, one day at a time, until you have gone through your entire list. Make the commitment to make the rest of your life, the best of your life, without fear holding you back. While I will not tell you to have fun with this assignment, I do encourage you to keep writing! Peace and blessings. Can you believe it? Here we are at the one-year mark of doing our weekly writing assignments! Time flies when you’re having fun … and writing your way to an authentic life! For this week, please read the blog post: “A ‘Sense’ Of Story.” Then set the timer for 20 minutes. Take each of your senses one by one (sight, sound, taste, smell, and touch) and write about the stories that certain ones bring up for you. What special meanings do they have for you, and how have they found their way into your life today? You may want to give yourself extra time for this assignment. Sometimes a trip down memory lane takes a bit longer than 20 minutes! When you are done, put your work away and take it out the next day to read. Any insights? Write about them now. Also, please accept my thanks for being a part of Writing A Life over this past year. I can’t remember when I’ve had so much fun sharing my love of writing with others. May your pens and keyboards help you create a life that you love! Peace and blessings. Read this week’s blog post: “Mickey Mouse, Play Dough, and Remembering The Magic.” Then set the timer for 20 minutes. Answer the following questions: What was your favorite game of make-believe when you were a child? Who were you and what did you do? How did you act in your make-believe world that was different from your real world? Do those qualities or characteristics carry over into your life now? If not, why? When you are done, put your work away and take it out the next day to read. Any insights? Are there changes in the way you see the world that you could make? If so, write about it now. Peace and blessings! Read this week’s blog post: “It Always Comes Back to Walden.” Then set the timer for 20 minutes. Take a moment and answer this question: “What is my true calling, my Gift? Then describe a time in your life when you did not “follow your bliss,” but allowed others to convince you to “be responsible and do the right thing.” How did that make you feel? What finally happened to change that, or has it changed yet? If you don’t know for sure what your true calling is, ask yourself what you would do with your life if money and obligations were not an obstacle, and how you would handle any attempts by friends and family to dissuade you? You may need more than 20 minutes for this assignment so feel free to keep writing after the timer goes off, or reset it for another 20 minutes. When you are finished writing, put your work away and take it out the next day to read. Any insights? Is your jewel shinning a little brighter now, or do you need to take it out and polish it up? Write about that now. P.S. If you look on the “Contact Me” page, you will find the links to the books that I mentioned in the blog post, as well as to my other blog, “Flower Bear’s Garden-Growing A Life,” which will be celebrating it’s 5th Anniversary at the end of September! Happy writing! Read this week’s blog post: “The Present Within.” Then set the timer for 20 minutes. Think about a time when you knew the truth of something down deep in your soul without knowing why or how you knew it. Louise Hay used to call it her “inner ding.” What was it? Was it about what you wanted to do with your life, your career? Was it an indication of what your work in life was meant to be? Did you follow your “ding,” or, like me, did you take the long way around? Or, are you still looking for it? Try and answer all of these questions. If you need more time, set the timer for another 20 minutes (I suspect this assignment will take some time to complete). When you are done, put it away and take it out the next day to read. Any insights? Any new thoughts about the work that was placed in your heart? If so, write about them now. Read this week’s blog post: “The Poetry of Living.” Then set the timer for 20 minutes. I want you to throw out everything you’ve been taught about how to write a poem. For this exercise, nothing has to rhyme, have rhythm, or have so many words/syllables to a line. All it has to do is express what you are experiencing with all of your senses. Close your eyes, take a deep breath in and out, and just sit for a moment. Now open your eyes. Take an inventory of your senses. What do you see around you? What do you smell, hear, feel? How does the air feel on your skin? Is there a cup of something at your elbow as you write? What is it? How does it taste? How does everything that is going on around you in the present moment make you feel? Write that all down in the form of a poem, not more than 10 or 12 lines. It doesn’t have to make sense to anyone but you. Be as descriptive as possible. When you are done, put your work away and take it out the next day to read. If you were a stranger reading this poem, how would it make you feel? Write about that now. Read this week’s blog post: “The Business of Forgiveness.” Then set the timer for 20 minutes. Write out the answers to these two questions. Who or what do I still need to forgive from my past? What do I still need to forgive myself for? This may require more than 20 minutes so feel free to set the timer for another 20, perhaps 20 for each question. Be as specific as possible. When we review all of the details on paper, often we find that the power of those thoughts or words to continue to hurt us look differently then when we say them to ourselves. When you are done, put your work away and take it out the next day to read. Any insights? Anything else you want to add or let go of? If so, write about it now. I won’t tell you to have fun with this one, but whatever you do, keep writing! Read this week’s blog post: “A Life Without Want.” Then set the timer for 20 minutes. Across the top of the page, write the question that was asked at the beginning of the post: “What does it feel like to be me without wanting?” Answering this question is going to require that you first separate out those things you know for sure are your basic needs for living. Then imagine going a full day without “wanting” anything but what you already have. How does that feel? Can you think of things that you have found yourself “wanting” that are less about your authentic self and more about the “idea” of who you are? If you need more time, set the timer for another 10 minutes. When you are done, put your work away and take it out the next day to read. Any insights? If so, write about them now. Peace and blessings! Read this week’s blog post: “You Ain’t Seen Nothing Yet!” Then set the timer for 30 minutes. We are going to complete our inventory of assets by finishing the following three sentences: 1. I have a great deal of experience in…. ; 2. Something I’ve spent many years doing is …. ; 3. Something I could spend the whole day doing is …… You can break these up into 10 minute sections, or you can just write flow of thought through to the end. When you are done, put your work away and take it out the next day to read. Any insights? Did you think of anything you can add to your list? Do these things, taken together, suggest anything to you? If so, write about them now. Peace and blessings! Read this week’s blog post: “One Of A Kind.” Then set the timer for 20 minutes. Ask yourself the following question: ” How do I feel about the idea that I am absolutely the only person exactly like me in the entire world?” Don’t be afraid to go deep and touch your inner self, the one who sees and processes the world. When you have written your answer, follow it up with this question: “How does that affect what I believe is my life’s passion?” If you need to, set the timer for another 10 minutes to finish this up. When you are done, put your work away and take it out the next day to read. Any insights? New thoughts? If so, write them now. Read this week’s blog post: “Happy Birthday To Me!” Then set the timer for 20 minutes. Across the top of the page write: “The best gift I ever received was …” It could have been a gift that you gave yourself, or one that you received from someone else. Be specific about why that gift was so special to you and what lingering effects it has had on you. Then set the timer for another 10 minutes and complete the following: “One gift I would like to give myself is …” What is that one thing that only you can give yourself? How will it affect your body, mind and spirit? When you are done, put your work away and take it out the next day to read. Any insights? Any new ideas? If so, write about them now. Have fun! Read this week’s blog post: “Excuse Me, Have We Met Before?” Then set the timer for 30 minutes. Go back in time and remember an incident where you had a case of deja vu, where you were somewhere you’d never been before but knew it as if you had. Or, perhaps it was a time when you met someone new but instinctively knew you’d somehow met them before. When you have chosen the memory you want to work with, write down and answer the following questions: 1: What is it about this place or this person that seems so very familiar? Now for the fun part … question 2: Who were you when this happened before? I want you to reach way down inside and come up with a previous life you may have lived as if you were creating a character in a work of fiction. Or, perhaps you already have had feelings of who you may have been in a previous life. In either case, write down who you were, where you where, and what you were doing. Be as specific as possible. This exercise is going to help you uncover hidden depths to your self that you may not have even known were there. At the very least, it is an exercise in using your creativity and imagination in your writing. When you are done, put your work away and take it out the next day to read. Any insights? Did anything else occur to you while you read what you’ve written? If so, write about them now. As always, and especially for this assignment, have fun with it! Read this week’s blog post: “Meeting Cary Grant.” Then set the timer for 20 minutes. Go back into your memory and chose a person who was a hero for you, or a heart throb, or an inspiration. Why? What was it about them that inspired you? Also, if you could spend an hour with them, what would you ask them? This might take a little longer than 20 minutes so feel free to reset the timer for another 10 or 15 minutes – whatever you think you may need. When you are done, put your work away and take it out the next day to read. Was there anything you learned about your own ideals and beliefs that were influenced by this person? If so, write about it now. As always, have fun, and keep writing! Read this week’s blog post: “It’s A Nice Place To Visit, But I Wouldn’t Want To Live There.” Then set the timer for 20 minutes. Now answer the following question: “If I could only take one special memory with me into my next life, what would it be?” Perhaps it would be the birth of your children, or the day you met your beloved. Perhaps it was a trip you took, a summer you spent with your parents or grandparents, etc. Make it one in which you learned something essential about life, if at all possible. You may need more than 20 minutes for this so feel free to set the timer for at least another 10 minutes. When you are done, put what you wrote away and take it out the next day. Are there any insights? Any revelations about how you can use this lesson going forward? If so, write about it now. As always, have fun with it, and, keep writing! Read this week’s blog post: “The Most Authentic Character You’ll Ever Meet.” Then set the timer for 20 minutes. This is an exercise in using your imagination. Imagine that you have come back to earth as something that lives in nature. It could be a tree, an animal, an insect, a plant, etc. Sit for a moment and imagine what it feels like to be that living thing. Then think of three attributes of your new identity that demonstrates authentic living. It could be a service you perform, nutrition that you provide, or anything else (think of the tree in the blog post). Try to really get into your new character. When you are done, put your work away and take it out the next day to read. What did you discover about your new identity? Did it lead you to any insights about who you are now? If so, write about it now. As always, have fun and keep writing. Read this week’s blog post: “You Must Be Present To Win.” Then set the timer for 20 minutes. I want you to imagine that you are creating a recipe for a new book, but this is not for a cook book. This is a book about ways we can stay present and practice mindfulness in our day to day lives. Think about what ingredients you need, how to apply or mix them, and how to enjoy the finished product. Be creative with this. The idea is not only to have fun with it, but to hopefully open up some new ideas that you can apply in the authentic life you are creating. When you are done, put your work away and take it out the next day to read. Are there any insights? Does your recipe need a little less spice and a little more flavor? If so, write about it now! Read this week’s blog post: “Like The Lilies Of The Field.” Set the timer for 20 minutes. Make a list of five positive things about yourself. You can include things like: “I’m kind, generous, funny, compassionate, dedicated, etc.” Don’t be bashful here. Dig deep and don’t worry – they’re in there. When you have come up with five things, write a short paragraph about each including an example where that trait or behavior made you or someone else feel good or improved someone’s life, including yours. Go into as much detail as you can. If the timer goes off before you are done, set it for another 20 minutes. When you are done, put it away and take it out the next day to read. Any insights or “Ah Ha” moments? Did you think of some others? If so, write about them now. Read this week’s blog post: “Words To Live By.” Then set the timer for 20 minutes and come up with a motto for the authentic life that you are creating. Once you have it, write how your motto will work in all the different areas of your life: home, work, fun, passions, family, etc. Take more time if you need it. When you are done, put it away and take it out the next day to read. Do you still feel the same way about the motto you chose, or have you come up with an even better one? In either case, write about it now. As always, have fun with it! Read this week’s blog post: “Creating A Habit Of Being.” Then set the timer for 10 minutes and answer the following question: “What is one thing I can do today to make me happy?” Give yourself time to be as thorough as possible and really describe in detail what that one thing is and how it would make you feel. Why? When that is done, set the time for another 10 minutes and answer this question: “What are some things I can do today to make me smile?” Again, don’t skimp on this. Use your imagination to come up with at least 10 things that could make you smile. When the assignment is done, put it away and take it out the next day to read it. Any insights? New Ideas? Did you smile while you read it? If so, write about it now! Read this week’s blog post: “It’s Not Easy Being Green.” Then set the timer for 10 minutes. This week we are going to answer three questions. The first question is: “The thing I love to do most that makes my heart sing is …..” When you are done, set the timer for another 10 minutes and answer question two: “If money were no object, I would spend my life doing …..” Finally, set the timer one last time for 10 minutes and complete the following: “One step I can take in the direction of my authentic life today is ….” When you are done, put it away and take it out the next day to read. Were they any surprises there? Insights? Ideas? Inspirations? If so, write about them now. Get excited about it! Most of all, as always, have fun with it! Read this week’s blog post: “Clicking Those Ruby Slippers.” Then set the timer for 10 minutes. Across the top of the page or screen complete the following statement: “When I open my front door, I feel …….” When you are done, set the timer for another 10 minutes and complete this statement: “How I would really like my home to feel is ….” Finally, set the timer one last time for 10 minutes and complete this exercise: “Five things I can do to create my authentic home are: …..” When you are done, put what you’ve written away and take it out the next day to read. Any new insights? Did you think of more things you could do to create the feeling you want to have in your home? If so, write about them now. Read this week’s blog post: “Getting Down to Business.” For this assignment we are not going to set a timer! I want you to take as much time as you need to complete this one. Read through the description of the Magic Cloud Ride. Turn off all distractions around you, close your eyes and take a few deep breaths. Now go through the exercise as described in the post. Feel the wind on your face as you fly. Hear the birds all around you singing and tweeting in joy. Now see the beautiful, majestic eagle come along side and ask you where you want to go. Pick your favorite place in the whole world, the place that, when you are there, you are happier than you’ve ever been. Once you are there, sit down on the ground and take it all in. Now, ask yourself these questions: “What am I feeling right now? How does this place make me feel? Why?” Give yourself a few minutes to soak this all in. Then visualize the cloud coming back for you (I know, bummer, you don’t want to leave; but this is the first and most important step in your quest to create your authentic life … be brave!). Once you are back, open your eyes and give yourself a few minutes to adjust. Then pick up your pen and write the answers to those questions. Make sure you don’t leave anything out. When you are done, put what you’ve written away and take it out the next day to read. Does what you wrote still ring true? Did you think of something else that you could add to clarify what you saw and felt? If so, write about that now. Read this week’s blog post: “We Now Interrupt Your Life …” Then set the timer for 20 minutes and write across the top of the page or screen: “The time when my life was interrupted by an unexpected event was …” Then describe what happened and how it changed, or didn’t change, the direction your life was going at the time. How did you handle it? What did you learn? When it’s done, put it away and take it out the next day to read. Did you find any new insights? If so, write about them now! Read this week’s blog post: “Good Lives Are Hard To Come By.” Set the timer for 20 minutes and write across the top of the page or the screen:”I think good lives are hard to come by because …,” or, “I don’t think good lives are hard to come by because …” Give this one a lot of thought. Be honest in your assessment of what you think makes a good life. When you are done, set the timer for another 10 minutes and make a list of the things you do, or could do, to pull yourself out of a bad moment and keep it from ruining your whole day. One of my favorites is to take myself outside and “walk it off.” Another is to pop in an old Jerry Lewis DVD and laugh until it hurts (after all these years he still has the same affect on me)! When you are done with your list, put both of your writings away and take them out the next day to read over. Did you have any insights about what makes a good life? Did you think of anything else you can add to your list? Write them now. Read this week’s blog post: “Finding Our Way Out Of The Tunnel.” Think back to the last time you were in a bad mood where you believed there was no logical explanation for it. Or, if you can’t think of one, try to remember a time when you blamed someone or something else for a bad mood you were in. When you have it, set the timer for 10 minutes and write about how you felt and what you believed was the cause. When you’re done, set the timer for another 10 minutes and ask yourself the questions I asked in the blog post. Basically they are: “What? Why? Really?” Then ask yourself the final two questions: “How would I like to feel, and what can I do to get moving in that direction?” You will probably need to set the timer for another 10 minutes. Come up with a list of at least 3-5 things you can put on your “Go-To” list when you need a boost out of a bad mood. When you’re done, put what you have written away and take it back out the next day to read. Does anything you’ve written surprise you? Have you discovered a pattern of behavior you didn’t realize you were following? Or, do you see a new tool to use in creating your authentic life? Whatever you’ve uncovered, write about it now. Read this week’s blog: “Who Are You Pointing To?” Then set the timer for 10 minutes. The first part of this assignment will be to spend 10 minutes preparing a list of questions that you would answer about yourself if you were filling out an online survey. You can take it from the easy questions, such as: “What’s your favorite color/food/season, etc.” to more in-depth ones like: “What makes you smile? Who is your hero? What would you do with a million dollars?” When the time is up, set the timer for at least 20 minutes and answer the questions. If you need more time, take it, but don’t make this a do-or-die assignment. The point is to have fun and get to know yourself better. When you are done, put your work away and take it out the next day to read. Did you find out something interesting about yourself, or re-discover a love for something? If you have had any new insights, write about it now. Read this week’s blog post: “Getting a Ph.D. in Living.” Then set the timer for 20 minutes. Write across the top of the page or screen the following prompt: “The subject that I majored in to earn my Ph.D in Living is: ……” Then go back and review the areas in your life where all the books and lectures in the world could not have prepared you for the lesson you learned from one particular experience. What did it teach you? Have you grown from it ? Why, or why not? When the timer goes off, ask yourself if there is another experience you’d like to write about. If so, set the timer for another 20 minutes and have at it! If not, put your work away and take it out the next day to read. Has the experience of writing it down given you any new insights? If so, write about it now. Read this week’s blog post: “Let’s Live To Be 120!” Then set the timer for 20 minutes. Across the top of the page, or screen, write the following: “If I was able to live to be 120, I’d ….” What would you do? What could you accomplish? What would you like to accomplish if you had all that extra time? Would you do something new, or would you go back and re-do something differently? Let your imagination free to reach for the stars. When you are done, put your work away and take it out the next day to read. Did you think of anything you would add or change? If so, write about that now. Have fun! Read this week’s blog post: “Staying Small.” Then set the timer for 10 minutes. Think of a time in your life when fear kept you from doing something, or accomplishing something – a time when you “played small.” Across the top of the paper write, “The time that I played small was when …” and start writing it out. Go into as much detail as possible including all of the feelings and emotions that were involved. When the timer goes off, set it for another 10 minutes and write across the page: “How would this situation have worked out if I had “played big?” Then write how you think it would have worked out, or not. The idea is to revisit those feelings and put finally put them to rest. When you are done, put your assignment away and take it out the next day to read. How have you changed as you have grown in wisdom and experience, or have you? Why? Why not? Write about whatever comes up. Read this week’s blog post: “Choosing Our Path.” Then set the timer for the first of what will be 3-20 minute practices. Write across the top of the page: “Where did I come from?” If you have a definite understanding and idea that is true for you, write that out. If you don’t, write what you “think” is true, or a truth you can feel comfortable with. At the end of the first 20 minutes, get up and walk around the room for a minute, look out of the window, get a drink, anything to clear your mind. Now sit down and set the timer for the next 20 minutes and write about the following: “When do I experience moments of this truth in my life?” It is possible that you may not have these experiences. If so, write about that. When you are done, take another short break and then set the timer for the final 20 minutes. This time you will answer this question: “How does what I believe, or not believe, affect my ability to live an authentic life?” Yep, I know, this may well take longer than 20 minutes. Take as long as you feel you need to express what is in your heart. As always, when you are done, put this away and take it out the next day. I would suggest that you do this for several days in a row. See if what you wrote compels you to seek new or different paths to investigate, or if it has changed where you see your life going. If there have been changes, sit down and capture that in writing as well. Seeing your ideas and understandings on paper, reading them, is a powerful tool of transformation. Read this week’s blog post: “To Be, Or Not To Be.” Then set the timer for 10 minutes. This is going to be a two-part assignment. First, find a quiet spot to sit in all by yourself. Turn off any electronics. Take a few deep breaths and just “be” for a minute or two. Then use your senses. What can you see, hear, smell? Do you hear birds outside, or the sound of the furnace kicking on and off? Can you feel sunlight through the windows, or wind rattling the glass? Can you smell this morning’s coffee, or a scented candle or oil burning? Is the neighbor’s dog barking? At the end of the 10 minutes, set the timer for another 10 minutes and write your BFF a letter, telling her all that you sensed as if you were trying to share it with her. Don’t leave out anything! When you’re done, put your writing away and take it out the next day to read. Is it like getting a letter from a dear friend? Did the exercise allow you to learn to enjoy sharing the world around you with yourself? If so, write about it now. Read this week’s blog post: “Coming Home To Ourselves.” Then set the timer for 20 minutes. Think of a daily task that is perhaps not one of your favorites, or that you rush through just to get it done. Close your eyes and see yourself doing that chore, but instead of rushing ahead while you mentally go over the rest of your to-do list, or wishing someone else would do it for you, stop and picture yourself going through each movement involved with the task. See the items involved, feel your hands performing the task. Are there smells involved, perhaps the scent of soap or other cleaning liquid? The sound of water, or the sweeper? The feel of cloth or a hard surface? Can you find gratitude for this task such as being grateful for hot water, indoor plumbing, electricity, clothes to wash, food to cook? When you are done visualizing this task, write it out in as much detail as you can. remembering to end with gratitude for whatever it is. As always, put your assignment away when you’re done and take it out to read the next day. Has there been a shift in how you see that task now? Can you find your authentic self in it? If there has been a shift, write about it now. Read this week’s blog post: “Making A Myth Of It.” This time we’re going to set the timer for 30 minutes. Take an honest inventory of those moments or circumstances from your life thus far that were painful and find one that needs to be pulled out of the darkness and set free so that you can move ahead in creating your authentic life. Give your myth as much color and detail as possible, always remembering that this story is going to end “happily ever after,” as you, the hero, finally slay that dragon, or cause the evil witch to disappear, or free yourself from the dungeon. When you are done, put the story away and take it out the next day to read. Is the dragon truly dead? Has something shifted? If so, write about it. Read this week’s blog post: “Claiming Your Power.” Then think back to a moment in your life when you realized that you actually had power over your own life, and choices you were free to make. When you connect with that moment, set the timer for 20 minutes and write across the top of the page: “The moment when I claimed my power was when …” Then go for the 20 minutes. If you truly feel that you have never had a moment like this, think back to a situation when you might have made a different choice that did result in taking your power back, and write about that. If you need more time, set the timer for another 20 minutes. When you’re done, put your work away and take it out the next day to read. How does it make you feel? Have you lost sight of what that moment represented? How? How can you get it back? What different choices can you make now as you choose to create an authentic life? Write about it! Read this week’s blog post: “You’ve Been Pre-Approved!” Think of an area of your life where you’ve been seeking approval. It could be your work or your job, your relationships with others, or even your relationship with yourself (your body, your looks, your self-esteem). Then set the timer for 20 minutes and write across the top of the page: “I have been pre-approved for …” When the timer goes off, if there is another area of your life you would like to apply this to, start another page with the same prompt, set the timer for another 20 minutes, and go for it. When you are done, put what you have written away and take it out the next day to read. How do you feel now about the need for approval? Has it made any changes in the way you look at your life? If so, write about it. Read this week’s blog post: “Congratulations! I Now Pronounce You … An Adult!” Then set your timer for 30 minutes, take out pen and paper (or keyboard) and write across the top of the page: “I became an adult the day that ….” Then go for 30 minutes. Was there one moment, one season, one event that is stamped in your memory as the day you became an adult? Or, was it a gradual awakening? Write about that, too. Don’t just record the events. Report on the thoughts, feelings and realizations you experienced as well. When you’re done, put it away and take it out the next day to read. How has that moment in time informed the way you lived your life? Have things changed? What advice would you give to a young person just starting out? Write about it. Read this week’s blog post: “High School: The Music of Belonging.” Then sit for a moment and go back in time to your own high school years. Find a song from that period that speaks to you of your life and experiences of that most important time of your life. When you do, set the timer for 20 minutes, write the title of the song across the top of the page, and write about why that song and those lyrics define who you were then. What does it say about what was important to you at that time. Then, when the time is up, think of another song that speaks to who you are now. It can be another song from the past or a new one from the present. Then set the timer for another 20 minutes and write about how that song defines who you are now. The same? Different? Do you see some similarities or patterns that need changing? As always, when you are done, put your assignment away and take it out again the next day for a read. What have you discovered about yourself and how far you’ve come from those days? Is it time to write yourself a new song? Peace, baby! Read the blog post, “School Days.” Set the timer for 15 minutes and write about your fondest memory of your experiences in elementary school. Name teachers, students, subjects and how or why they had a positive impact on you. When the timer goes off, set it again for another 15 minutes and write about what you disliked most about that same time period. Was there a mean teacher? A bully? A subject that you hated? After both assignments are done, put them away and take them out the next day to reread what you have written. Do you see any habits, ideas or beliefs that were born during that time that have impacted your life today? If so, write about that at for as long as it takes to identify what and how. Get the idea? Give yourself time to come up with what you believe is the best representation of what your life has been about up to this point. Then, when you are done, set the timer for 10 minutes and write out why you chose those six words to describe your life. When you’re done, as always, put it away and take it out again the next day to see if perhaps now, after having time to think about it, you would choose six different words. If you think you would, write them down, then give yourself 10 minutes to write down why. How will this new perception help you going forward? Read the blog: “For The Love Of A Rose.” Then set the timer for 20 minutes, take out paper and pen (or keyboard), and answer the following question: What needs to “form” in my life to make it an authentic life?” It could be a belief, new ideas, or new understandings. What needs to come from the formless into form to make your life genuinely yours? This may take more than 20 minutes. I would suggest that when the timer goes off, put it away and take it out tomorrow. If necessary, set the timer for another 20 minutes and see where it takes you. Since there will be no assignment next week due to the holiday, when you are finished, put what you have written away and take it out again next week. See how your thoughts and, perhaps, revelations about what you have written have caused you to look at your life differently. If it has, write about it! Read this week’s blog: “Memories Are Made Of This.” Then set the timer for 20 minutes and think back to a memory that had a huge impact on you that has carried over until today. Perhaps it was a special moment from your childhood, like mine. It could also be one that is not a happy memory. That may have even more to do with who you are today. Write about that as well. When the 2o minutes are up, set the timer for another 10 minutes and write about how that memory has changed you, made you a better person, or made you want to be a better person. Perhaps it pointed you in the direction of your career, your passion, or a cause you support. Whatever it is, write about it. Then put the assignment away. Give this one an extra day or two before you pull it out and read what you have written. I suspect that having written it, you will start to see evidence of it working in your life even before you review it. This week we are going to paint a picture with our writing. Find a comfortable place to sit where you can write undisturbed, set the timer for 10 minutes, and describe what you see in a 3 foot radius around you. Use as much detail as you can: is there a cup of tea or coffee on the table? What kind? What is the color of the cup? Is there a design or a saying on it? How does it smell? What are you wearing? Furniture? Lights? Flowers? Imagine you are describing it to someone who has never seen such things before. When the 10 minutes are up, go into a different room and repeat the process. Are you in the kitchen? Is there something on the stove? Dirty dishes in the sink? Write for another 10 minutes. Finally, if possible, go outside and describe what you can see in your immediate range of vision. If the weather doesn’t permit you to be outside, go to a window where you have a clear view and describe what you see. Is that old Mr. Jones out there raking up his leaves? Sammy the paper boy peddling his bike down the street? Is it raining? Snowing? Help others to see what you see. When you are all done, put your work away and take it out the next day to read it, but read it in a different room than the one you wrote it in. For example, if you did write in the kitchen, move to the living room or the bedroom. For the outdoor exercise, read it in a different room with a different view. The idea is to see if you can see in your mind’s eye what you are reading. Can you see it? Could you have been more precise? How could you have made it more alive? Once again, have fun with this. Challenge yourself to reach for the best words you can use to convey the picture and all that goes with it. Paint a picture with your words. This week’s assignment might be called “Much Ado About Nothing.” Read this week’s blog about The Gift of Nothing. Then set the timer for 10 minutes. For the first part of this assignment, you will not be writing … you won’t be doing anything except breathing in and out, and just being. Feel your body inside and out. Feel the room around you, and the sights, smells and sounds beyond you. Do nothing else but just “be.” Now set the timer for another 10 minutes and write about how that felt. What came up for you? Did you feel a connection with the rest of the world around you? Describe in as much detail as you can remember what you saw and heard. You may need more than 10 minutes to do this. Feel free to go for another 10. Last week we wrote about our proudest moments. This week we’re going in the opposite direction. We’re going to write about what we perceive to be our “failures” or “bad decisions.” Read the blog post for this week. Then set the timer for 10 minutes and write across the top of the page: “The worst decision I ever made was …”. Don’t get bogged down in a lot of details, and, definitely, don’t use the time to beat yourself up. That is not what this assignment is about. This is about redefining our ideas about failure by using different language to assess a situation and come up with a conclusion. Just describe the decision, how you came to it, and the outcome. When you are done, set the timer for another 10 minutes, and write across the top of a new page: “Something positive that I learned from this experience was …”. When you are done, put your work away and take it out to look at again tomorrow. Are you seeing your “failure” in a different light? If so, write about it. If you haven’t read this week’s blog post about Natalie Goldberg, please do so now. As you can guess, this week’s assignment is about getting back to basics. Set your timer for 10 minutes. Please do this assignment in long hand if at all possible. The energy of making contact with the pen and paper, and moving your hand across the page, is what makes this practice so valuable. Write across the top of the paper: “I remember …” Then write for the full 10 minutes, keeping your hand moving all the time. If you run out of steam on one memory, write “I remember” again and keep going. When the 10 minutes is up, reset the timer for another 10 minutes and write across the page: “I don’t remember …” and proceed as before. If at any time you feel as if you are on a roll and can go longer than 10 minutes, feel free to do so. When you are done, put what you wrote away and take it out again the next day to read it. See what floated up from your consciousness when you allowed yourself to write freely without second guessing yourself. As always, have fun and enjoy the adventure! Think back to when you were 6 years old. If someone had asked you what you wanted to be when you grew up, how would you have answered? Set the timer for 20 minutes and write down your answer, then describe whether you did or did not pursue that career. If so, has it been rewarding and, if not, why? Or, did you pursue something else and now wish you had followed your dream? Be honest and write down exactly how you feel. What would you have done differently and what, ultimately, lead you to what you ended up doing? Now set the timer for another 10 minutes and answer the following question: “What kind of person do I want to be when I grow up? Don’t answer this from the perspective of a 6 year old as in the question above. Answer the question as the age you are now, knowing that you have many more years before you to make it come true. As always, put your answers away and take them back out tomorrow. What have you learned about yourself? Write a paragraph about that. And, yes, have fun with this. Make it an adventure into Tomorrowland! First, go back and read this week’s blog post on the three soul questions. Then allow yourself to sit quietly for a few minutes, asking yourself each one in turn. Now, set the timer for 10 minutes and write the first question out: Who Am I? For the first minute or two, write out the usual answers, all the titles and roles that define you, and then cross them out. Now you are left with the space to write the real answer. Give yourself the whole 10 minutes for this even if it means staring out of the window for the first 5 minutes! When you are done, reset the timer for 10 minutes and move on to the next question: What Do I Want? As before, get the surface stuff out of the way, then cross it out and get to the meat of the question. Let yourself go deep and feel the answers. When you are done, reset the timer one more time to 10 minutes and go to the last question: What Is My Purpose? Once you know the answers to the first two questions, you will discover that there are as many ways to serve the world as there are people. Let your imagination loose on this one and be creative. Be assured that nothing is ever written in stone and if one path doesn’t lead you anywhere, you can always take the next turn in the road. Remember to have fun with this assignment. You may even discover when you’re done that you are a whole different person than when you sat down to write! What would it be like to create something that would change the world and have an impact on millions of people? Let’s find out. Set the timer for 2o minutes and finish the following sentence: “If I could create anything, it would be…” Keep in mind that it does not have to be a concrete item. It can also be an idea, a cultural shift, a belief, or anything that you would like to see become reality. As always, when you are done, put it away and take it out the next day to read. What does your idea say about you and your own life? What needs to be created there? Again, have fun with this. Let your imagination soar! This is going to be fun! Set your timer for 20 minute (yes, we’re going longer). Imagine your perfect life. 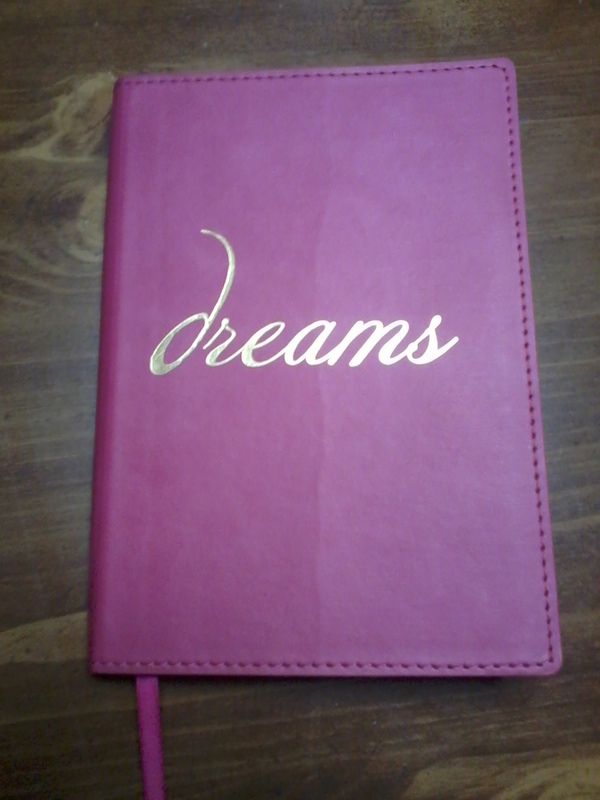 Now write down what you a day in your perfect life would look like. Start from the moment you wake up. Where do you live? With whom? What does your home look like, your bedroom? What can you see outside the windows? Describe every detail including sights, smells and tastes. Go through your day. What are your doing? Where are you going? Most important, how do you feel doing and experiencing those things? If you need to reset the timer, give yourself another 10 minutes. When you are done, put it away until tomorrow and then take a look at what you’ve written. Does it ring true? How does it make you feel? Take 10 minutes and write about what this dream life brings up for you. As always, have fun and don’t be afraid to dream big! Last week’s blog post talked about “do-over’s.” Go back and read your last two assignments. Pick out one area of your life from either your childhood or early teens that you always wished you could do-over. Maybe it was where you went to school or some aspect of your education; perhaps it was a sport you wanted to try, an artistic or creative pursuit, etc. Now set the time for 10 minutes and start a new “Once upon a time” story featuring the new you doing this thing over, a second chance to do it your authentic way. Please don’t get bogged down in regrets or blame. This is an exercise in creating a new chapter, not regurgitating the old one over again. The idea is to have fun and be creative. It’s your life. Write it the way you want it to go! Please feel free to leave your comments and any insights you may uncover. Happy writing! This week we are going to use writing to dig out those Negative Nellies in your life that, either in the past or in the present, have convinced you that you can’t be, do, or have what you truly want out of life. Perhaps it was a parent, a teacher, a pastor or a well-meaning friend. Whoever it was, we need to silence them once and for all and let our own inner voice be the only one that guides us. Set the timer for 10 minutes and write the phrase: “When I was little, I wanted to ….. but … told me…” Fill the in blanks with the dream, the person and what they said. Try to use the entire 10 minutes by writing about how that affected you and how it has carried over to today. Just like in the first assignment, when you are done, put what you have written away until the next day. Then take it out and read it. Are there any surprises? Any patterns emerging? How do you feel about it today? Set your timer for another 10 minutes and write about that. My first blog post began with the words: “Once upon a time …” Your first assignment is to set a timer, or your phone, for 10 minutes, write that opening on the top of the page, and then just write. See what comes up. Make sure this is free-flow of consciousness writing. Don’t stop to edit or correct. When you’re done, put it away without looking at it until tomorrow. The idea is to give yourself some time to put some distance between you and what you wrote so that you are reading it with fresh eyes. Notice any patterns or surprises that come up. If you do find some, write them down and keep them handy. You will want to go back and take a look at them after you complete the next assignment. Write on!